From the moment you step on our lot until the time you drive away in your next car, your buying experience with A & B Motors Gratiot is our number one priority. We encourage you to use the expertise and resources of our sales staff; they are here to help you find the right car at the right price. Call us today at 586-445-1600 to schedule your test drive! I have been in the automotive industry for over 35 years and take great pride in being open & honest with my customers. I know purchasing a vehicle is a difficult decision. That is why I personally drive and gather as much information as possible about each and every vehicle. My goal is your complete trust and satisfaction. Allow me the opportunity to make your vehicle purchase a great experience. come on down and be part of the A & B Motors Family. I have worked with many automotive lenders over the past 25 years and have developed the relationships and the expertise to help make our customer’s dreams a reality. I pride myself in helping our customers find luxury and performance which fits their budgets. Come on down and be part of the A and B Family. 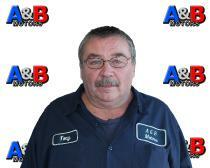 Tony has been in the automotive industry for many years. He has vast knowledge of the car-buying experience; he aims to work closely with his clients, to get them exactly what they want at a price they are comfortable with. Come on down and be part of the A & B Motors Family. 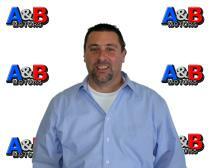 I have worked with the A&B Motors dealerships for over 7 years now. Just recently opened our newest location in Waterford which is conveniently located at 2253 Dixie Highway. I specialize in finding you the perfect quality pre-owned vehicle to fit your needs. Even if its unique and hard to find, we can get your the precise vehicle that you're looking for! 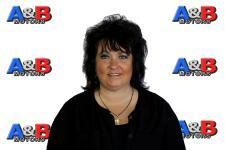 Come on down and be part of the A & B Motors Family. I have sold cars for over 15 years in the Michigan area. 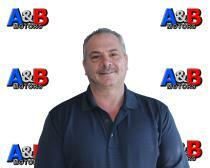 I have been with A&B Motors for approximately 7 years. I will help you get financed, find the car you like and not stop until your satisfied with the program that I have for you to fit your needs! Call me today and let's schedule you in! Come on down and be part of the A & B Motors Family. My nick name is Tommy the Telephone because I'm always on the phone trying to make deals happen for you! Call me today to make your dream quality pre-owned vehicle a reality! In sales for over 30 years and I'm looking forward to seeing you soon. 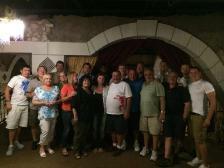 Come on down and be part of the A and B Motors Family! With over 30 years of experience, and my ASE certification, Brakes, suspension, diagnostics... You name it, I do it. All cars go through a 120 point safety expectation. 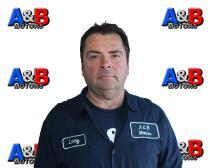 Come on down and be part of the A and B motor Family. 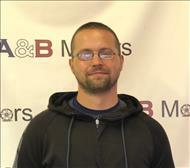 Brandon is our "utility" man here at A&B Motors. He's part time porter, salesman, data entry, mechanic assist, and whatever important role is needed! One minute he might be sweeping the parking lot, then assisting a customer find their perfect pre-owned vehicle. Whether he is entering billing receipts into our computer system or delivering a vehicle to our Waterford location. Every company has or should have a valuable team member like Brandon. A "go to" person who wears many different valuable and important hats. We can't thank Brandon enough! Uncle Tony has been selling cars for over 65 years and Still going strong and a huge part of our A and B Team. Come down to and be part of the A and B Motors family.